Michael Jackson was the most prestigious and influential artist of the 20th century and it's not difficult to see why when you take a look at the legacy he left behind. The king of pop's talent as a performer has been unmatched even after his passing in 2009, but MJ's sovereignty as the century's signature artist is not only because of his extraordinary natural endowment, but also because he was able to package that in a completely new style. In both form and content, Jackson simply did what no one had done before. 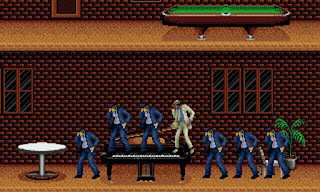 Michael Jackson has not only influenced musicians, fashion designers and dancers, but his influence has even extended over to video games. By now many people should be aware of the games Michael was involved in, Sega developed at least four of them. 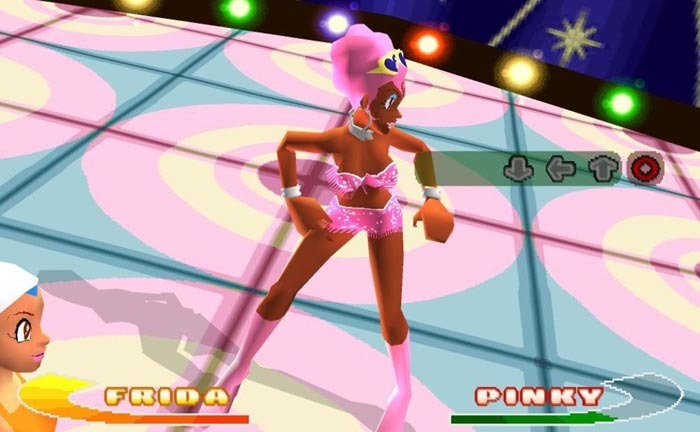 Michael Jackson's Moonwalk, Sonic the Hedgehog 3, Space Channel 5 and Space Channel 4 part 2, but of course on several other occasions game developers have taken influence from Michael, whether it was his revolutionary dance moves, unparalleled outfits or soulful music. In addition to music and videography, MJ was was a huge fan of video games. 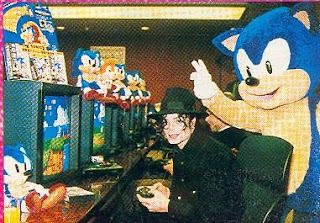 His Neverland Ranch included many free play arcade machines, but the King of Pop didn't just want to play games, he also desired to star in them. So in 1990, Michael formed a partnership with one of his favourite video game companies, Sega, to make Michael Jackson's Moonwalker for the arcade, Genesis/Megadrive and Master system, as well as current PCs during that period. 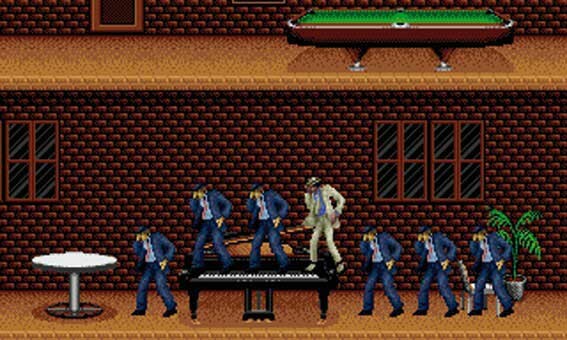 In Moonwalker, the player helped "Smooth Criminal"-period Jackson save children from the villainous crew of Mr. Big. Michael's pet chimp also tagged along for the ride. Michael could perform simple moves like kicking and hitting gangsters with his hat, but he was also able to deploy dance attacks that made every enemy on-screen sway and pop along with him. Ultimately, the dance moves left them exhausted while Jackson calmly strolled to the next area. Moonwalked managed to sell well and Jackson continued his relationship with Sega, including visiting the California-based laboratory where the game company was working on some of it's latest games. 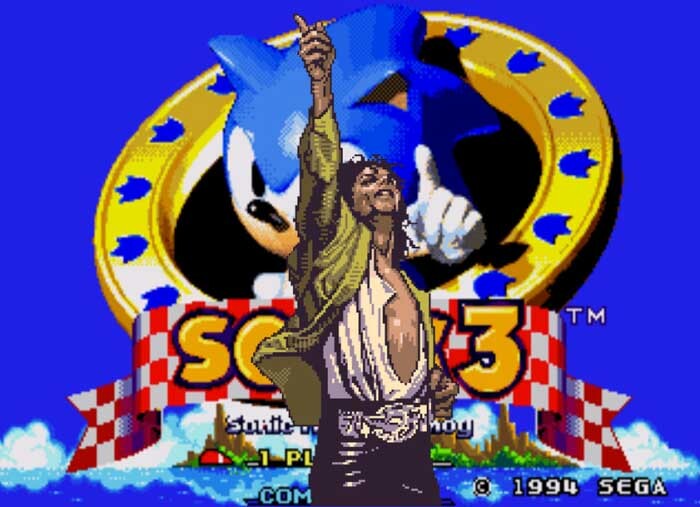 According to a theory that first appeared on the interest around 2003 by a person called Ben Mallison, Michael Jackson had made a business deal with Sega to create the soundtrack for Sonic 3. Mallison pointed out that Michael Jackson's song "Jam" sounded similar to Sonic 3's "Carnival Night Zone" and other songs sounded distinctly like Jackson's sound, but the credits at the end of the game didn't list M.J.
For several years Sonic fans only had Youtube remixes to fall back on, but recently The Huffington Post managed to find Cirocco Jones, Doug Grigsby III and Brad Buxby (once more) to verify: Michael Jackson produced tracks for Sonic The Hedgehog 3 and his work is still in the game. For about four weeks in 1993, Jackson and his unit worked out of Record One Studio in California, making "Some thing like 41" tracks - or cues, as they called in the video game world, Buxer stated. 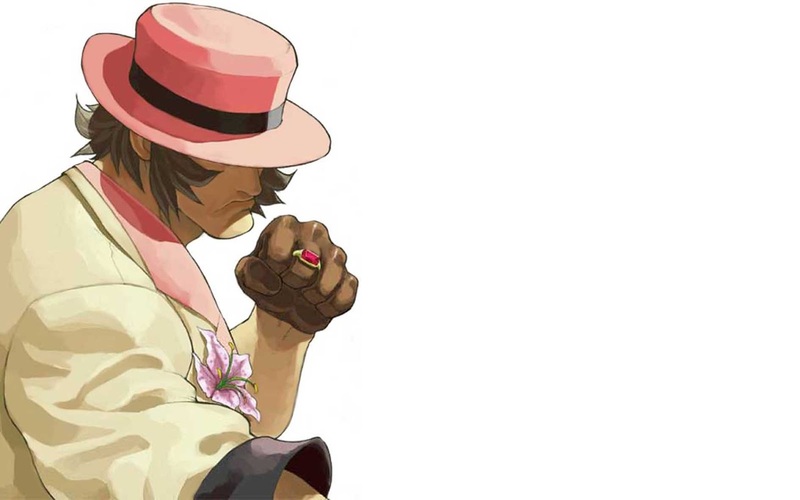 Jones recalls Jackson contacting him, sometimes at night, to share ideas and sing melodies that would eventually make it into the game. According to three of the composers, Michael wanted his name removed from the credits of the game when he heard the sound reproduction that came from the actual Sega Genesis machine considering he created all the songs with full audio sounds, not squelch synth noises. 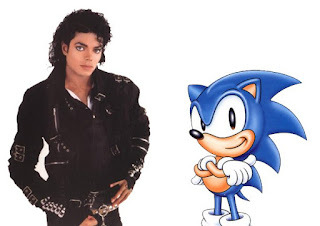 Sega are still silent, but it's known that different composers were called in to finish the music in Sonic 3 after a lot of songs had already been added to the game, those songs were Micheal Jackson's contribution. "His shoes were inspired by the cover of Micheal Jackson's Bad, which contrasted heavily between white and red." 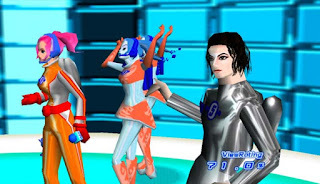 Moonwalker gained solidified success, but M.J wouldn't appear in another game until the following decade with Space Channel 5's release, also a Sega game. Jackson made an appearance in Space Channel 5 as a small cameo. 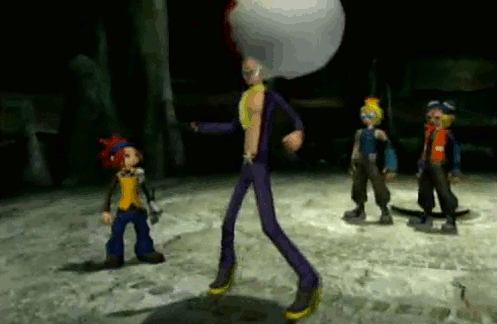 In the game he was called Space Michael and danced alongside the main character Ulala. It was a smart business decision by both parties which assisted in further boosting the buzz around Space Channel 5. The cameo came as a result of Jackson showing interest in the upcoming game. Jackson had a representative reach out to Sea and ask to be involved. It didn't take much convincing at all. Sega was more than happy to have the King of Pop in the game. 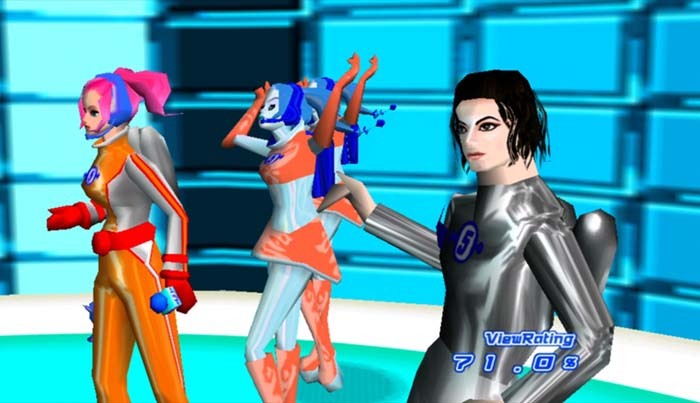 In Space Channel 5's sequel, M.J was upgraded from a cameo role to the boss of Space Channel 5. He's abducted by aliens in the game and must be saved by reporter Ulala, Once rescued, Jackson flanks Ulala as she proceeds her dance-off with the aliens endangering the galaxy. 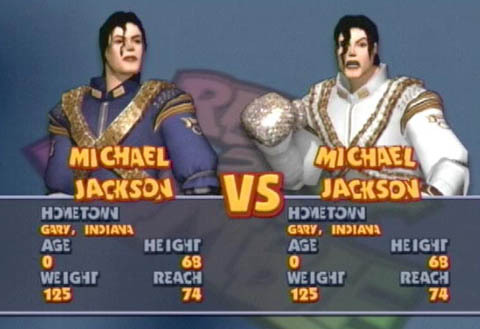 Just after Space Channel 5, Michael Jackson appeared in another video game, Midway's Ready 2 Rumble Boxing: Round 2. The sequel was a cameo ridden boxing game with appearances by not only M.J, but also NBA basketball legend Shaq. 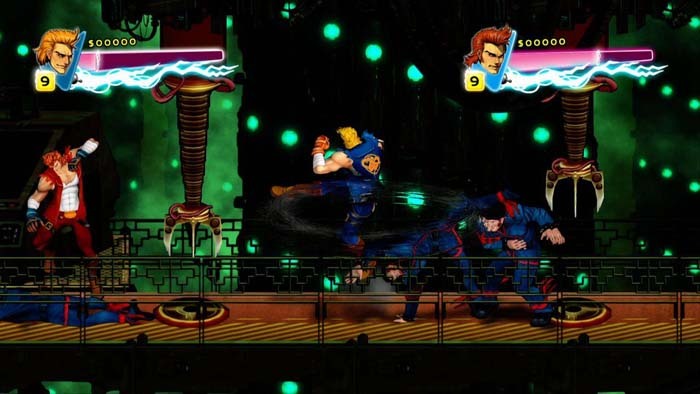 This was the last game which Jackson made an actual appearance in while he was still alive, but his music and costumes continued to appear in videogames in his stead. The Nintendo Gamecube games Pokemon Coloesseum and Pokemon XD: Gale of Darkness both include Miror B, an adversary who has electrifying dancing moves and is even seen moonwalking on occasion. He wears a glove on his left hand and rocks an afro the shape of a Poke Ball. Miror B's favourite Pokemon also happens to be Ludicolo, who is apparently a reference itself to Michael. In Gale of Darkness his theme song has also changed to a more disco-styled melody to reflect his new attire. 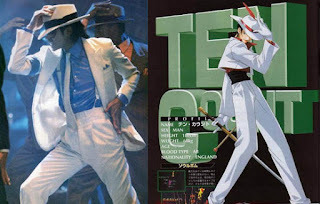 The doppelgänger Ten Count made his debut and only appearance in the 1996 fighting game Battle Arena Toshinden 3, as an unlockable character to Kayin Amoh, another character who's inspiration comes from Michael's 1982 Beat It from the Thriller album. Ten Count's physical appearance and attire is based and taken from Michael Jackson Smooth Criminal music video, and he also displays some of Jackson's trademark moves, including moonwalking, performing the "zombie walk" from Thriller as a secret easter egg, making high-pitched whoops while performing several moves and holding onto his crotch area to mock opponents. Call it a coincidence but Battle Arena Toshiden isn't the only mid nineties fighting game to include a Michael Jackson inspired character as Capcom also jumped on the bandwagon and decided to add one to the Street Fighter EX series around the same year (1996 to be exact). 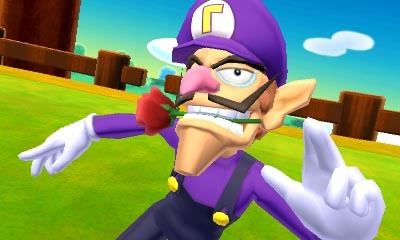 Among the Mario characters, Waluigi is considered to be one the best dancers in the Mushroom Kingdom, this has been seen in several Mario games but mainly the Mario Golf series.When getting a victory he normally expresses himself to the highest degree by happily dancing and it's no surprise that his spinning moves are akin to Michael Jackson's signature spins. In the 2003 Gamecube Mario Golf Toadstool Tour, Waluigi even poses like Michael after spinning and tilts the rim of his hat lower to cover his eyes after successfully putting a Eagle or Birdie. In the Wii game Super Mario Galaxy 2, it sounds as though Nintendo composer Koji Kondo has taken some inspiration from one of the songs on Michael Jackson's 1983 thriller album as The Spin-Dig and Boulder Bowel worlds begin with a melody that's awfully similar to Michael Jackson's "Wanna Be Startin' Something'". In Planet Vs Zombies there was a deceased character that danced across the player's field and called four support dancers after a little while. The initial Dancing Zombie resembled Michael Jackson in his attire from the Thriller video, even making his entrance by lawn moonwalking. It was altered in the later editions to a 70's disco dancer. 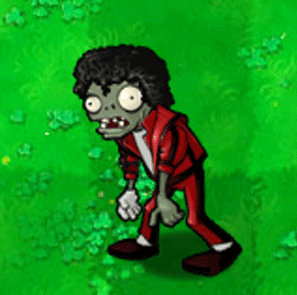 The estate of Michael Jackson didn't like it's inclusion in the game and claimed it was too close to Michael Jackson's physical appearance, PopCap Games eventually agreed to remove the Dancing Zombie. 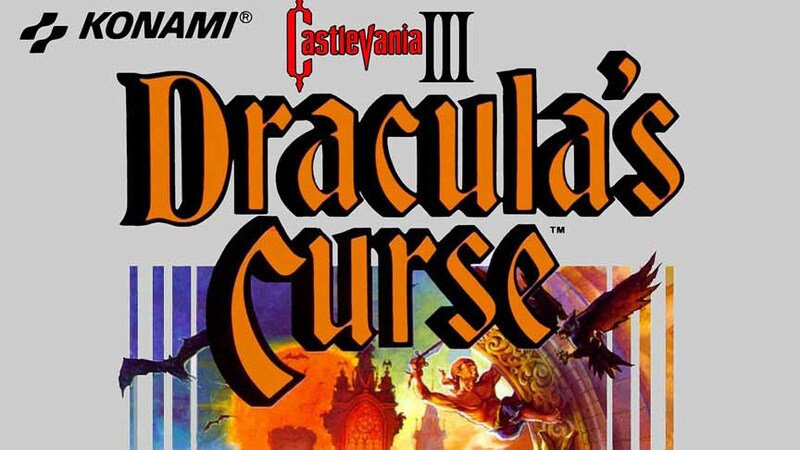 Nintendo isn't the only Japanese video game developer to use Michael Jackson's likeness in their games as evident in one of Konami's much earlier Castlevania titles. 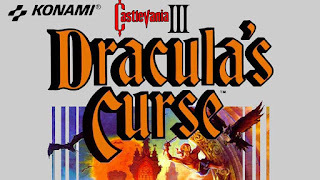 The first stage which is called "Beginning" in the 1989 NES game Castlevania's 3 sounds extremely similar to Michael Jackson's Thriller. In PlayStation 1's Bust-A-Groove (which is entitled Bust-A-Move in Japan), a game that is heavily inspired by hip-hop and rap culture, one of the character's theme songs entitled "Power" includes a recurring sample of "Michael Jackson's 1995 "2 Bad" from the album HIStory: Past, Present and Future, Book 1. The first part of "Pick Yourself Up and Dance" is plainly taken from Michal Jackson's "Wanna Be Startin' Somethin'", the composer Jake Kaufman says it was inspired by both Michael and his sister Janet Jackson, but he wasn't able to find a similar sounding singer, so he decided to be leave it as an instrumental. Marvel's comical and humorous but deadly mercenary Deadpool may not share Michael Jackson's sense of style, charisma or heart and soul but he certainly knows how to moonwalk in Marvel vs Capcom 3. While most characters just walk backwards in normal fashion, Deadpool has to be extra and instead moonwalks (which we love), this could possibly be a reference to the late great King of Pop. 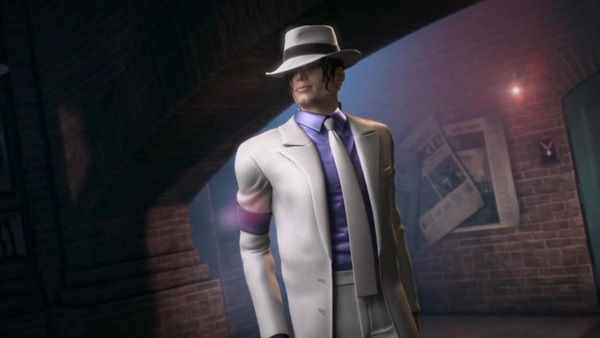 The latest game to feature M.J in all his glory is Michael Jackson: The Experience, which is a musical video game based on Michael's music and songs. 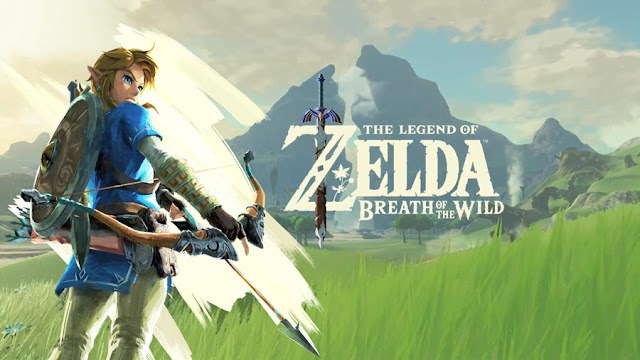 It was created and published by Ubisoft and Triumph International and was released in 2010. The title features several of Michael Jackson best songs, such as "Bad", "Thriller", "Beat It", "Billie Jean", "Smooth Criminal", "Black or White" and "The Way You Make Me Feel". The PlayStation 3, Wii and Kinect iterations have Just Dance style gameplay. 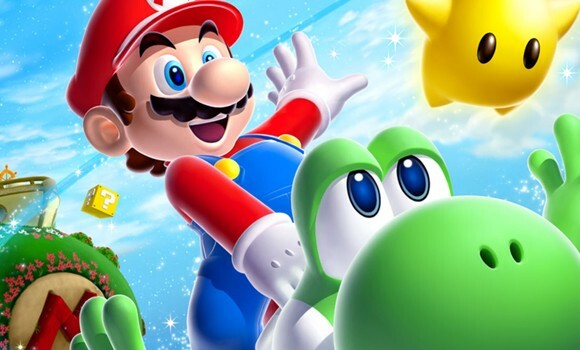 There's three modes to choose from in both the PS3 and Wii iterations. The first is "Classic" where the player follows an on-screen Michael Jackson avatar. The second is "Duo" which is specifically for duets such as "The Girl Is Mine") or music videos with two main people (such as "The Way You Make Me Feel"). Rest in peace MJ, I absolutely loved watching Michael Jackson's Moonwalker, although I was too young to play it at the time, it was entertaining watching my older brother play it. Countless free car driving games for kids and for all ages, including , puzzle games, board games and more, free online games no downloads can be played on your computer .